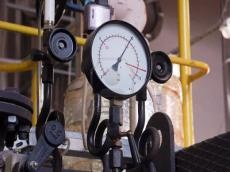 More than 80 percent of the work has been completed for starting the construction of the Interconnector Greece-Bulgaria (IGB) that envisages transportation of Azerbaijani gas to Bulgaria, Teodora Georgieva, executive officer at ICGB AD joint venture company, the project’s operator, told Trend. "For the IGB project most of the significant preparatory job is already completed. There is a Final Investment Decision for the project taken in December 2015. The environmental impact assessment (EIA) is completed for the entire route. The Technical Design for the Bulgarian part of the route as well as the FEED for the Greek section have been finalized. There is a Construction Permit issued for Bulgaria and Installation act for Greece. Installation permit is expected immediately after the Exemption Decision," she said. Georgieva went on to add that the financial model and the business plan were finally agreed between the shareholders and aligned with the European Commission as part of the exemption procedure and the approval of additional grant of 39 million euros. "The financial structure is entirely settled and there negotiations which are ongoing for preparation of intergovernmental agreement between Bulgaria and Greece for stabilization of the taxation of the project for a period of 25 years. There is a sovereign guarantee secured by the Bulgarian state and on that basis a Memorandum of understanding is signed between Bulgarian Energy Holding and EIB for providing of loan for the realization of the project," she noted. A pre-notification procedure for compatible state aid has been finalized with Directorate General for Competition, according to Georgieva. "All main tenders are launched - for selection of owner's engineer; for manufacturing and supply of line pipes; for engineering, procurement and construction and for archaeological research. Based on the above, we have to summarize that more than 80 percent of the work for start of construction is already done," she concluded.